Passagemaker 44. 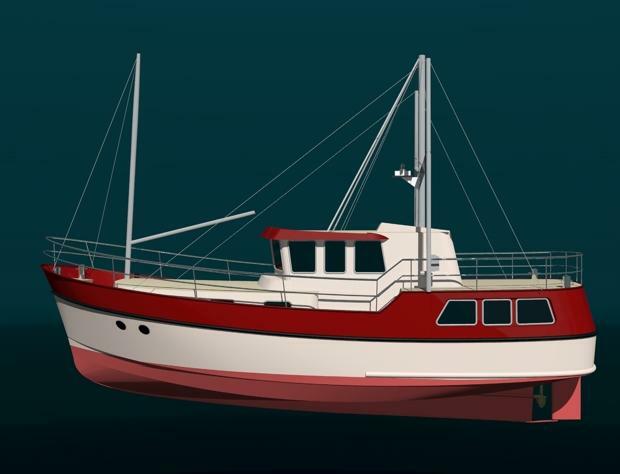 Seagoing Trawler yacht with a 2,000 + mile range. . 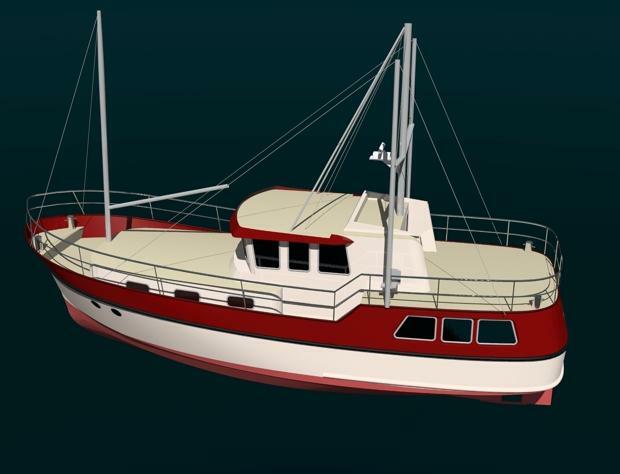 The Passagemaker 40 designed as a small passage maker with the ability to cross open seas. 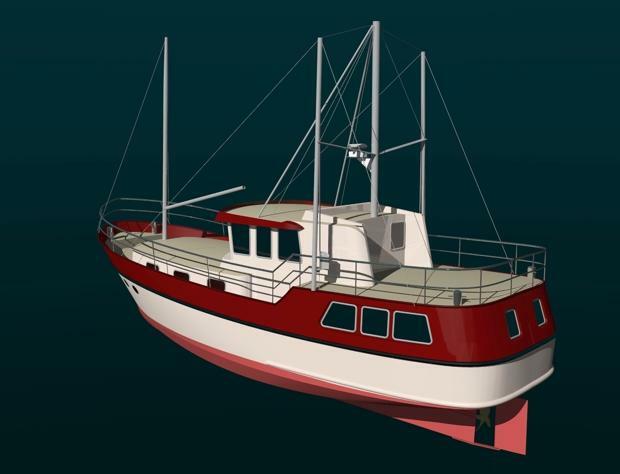 A rugged Trawler yacht with 1/4in steel plating and a displacement over 20 tons. 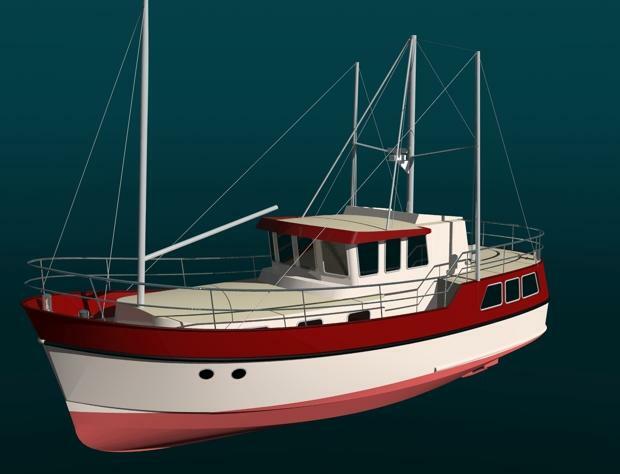 Inspired by the philosophy of Captain Robert Beebe and the North sea fishing trawler. Large growth in this type of Long distance power boating has taken place in the USA for the last decade with many recent designs by Nordhaven, Bruce Roberts, Jay Benford and Robert Seaton to mention a few. Rear of the Passagemaker is used for daytime activities, keeping the forward cabin area for sleeping in. 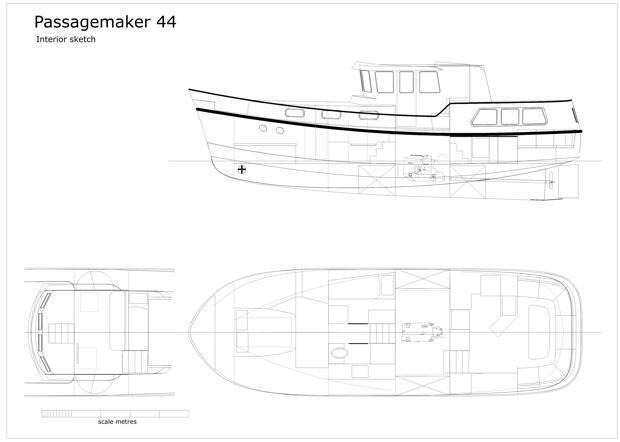 The Passagemaker 44 is a heavy displacement design, able to carry sufficient stores for a two thousand mile voyage. Its double ended hull and realistic beam should produce a sea-kindly motion. The design being modest in length can also be fitted with a flopper stopper rig or active fins to further reduce roll. Able to be a true passagemaker.